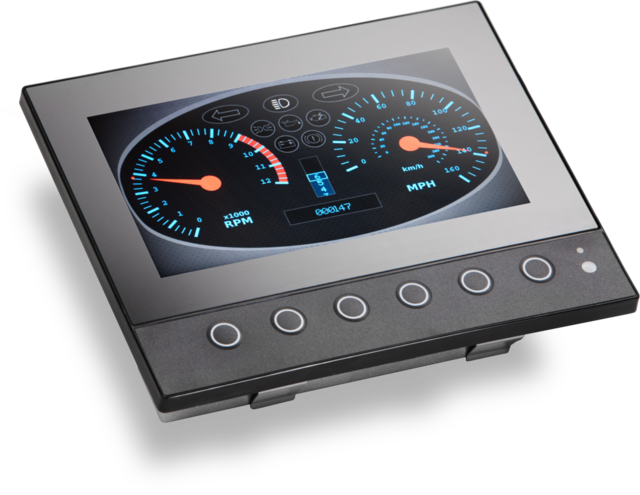 Our new Displays 5000 are color CAN bus HMI devices for universal use cases with a dimmable 6,5" TFT display. The resolution of 800 x 480 pixels and a format of 17:9 widescreen offer excellent display possibilities. The TFT technology guarantees outstanding readability in daylight and even in direct sunlight. The CAN displays can be operated safely, even in darkness due to the illumination of display and buttons. Six configurable keys enable the easy input and modification of displayed data. The new flat design and robust housing make the Display 5000 optimal for use in the off-road segment. The rugged casing defies harsh conditions in heavy machinery and even salt water by maritime use. For flexible use in industrial and mobile applications the Displays 5001/5004 have a wide range of power input from 9V to 32V and a temperature range from -30°C to +70°C. The displays have 2 independent CAN interfaces that support CAN baud rates up to 1 Mbit/s. Furthermore, both versions are equipped with one USB 2.0 Full Speed interface and one ethernet interface for software updates, two analog input (1x 0-5V , 1x max. 2.2 kOhm) and two digital outputs (max. 500mA). As an absolute highlight, the Display 5004 variant comes equipped with an internal WLAN-, Bluetooth- and Bluetooth-Low-Energy wireless interface for wireless communication with external devices (eg. CANlink wireless and Bluetooth). The Display 5000 can act as a slave or master. The firmware generates and transmits cyclic and asynchronous CAN messages, while the displays are able to respond to incoming CAN messages. 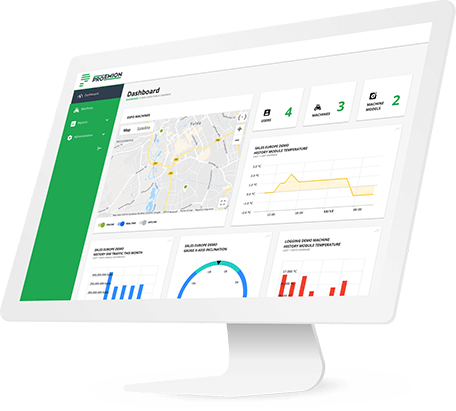 Additional flexibility is provided by the ability to modify communication and parameter settings during operation, as well as parameterize other CAN nodes. 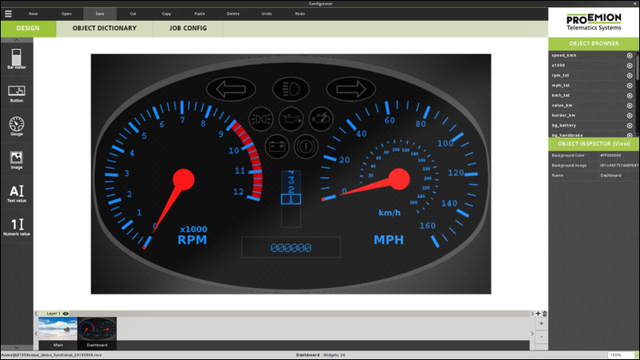 Display and key functions of the Display 5000 can be designed with the new intuitive and Qt-based configuration software. Your advantage: OEMs and manufacturers can distinguish themselves from the market by way of custom display applications.